IPCA is a fully integrated Indian pharma organization manufacturing over 350 formulations and 80 APIs for various therapeutic segments. 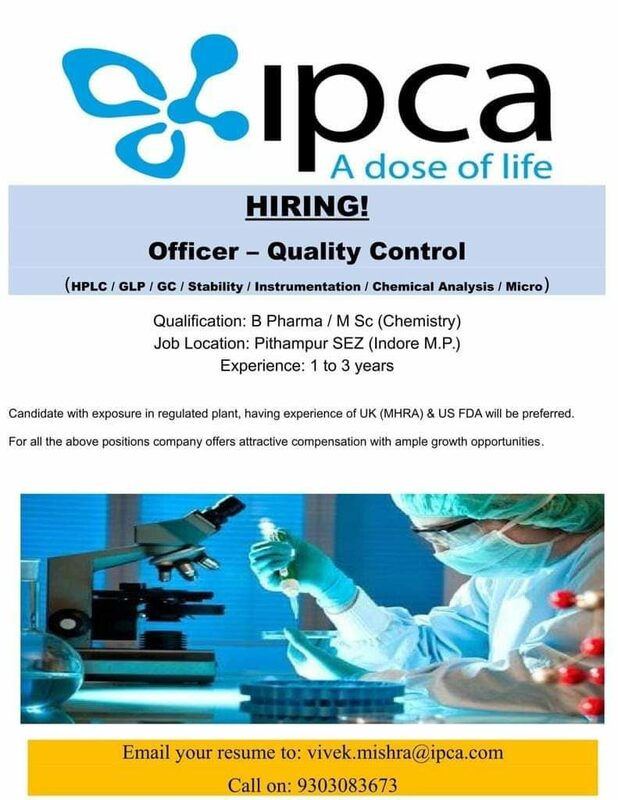 IPCA hiring for QC HPLC/ GC/ Stability/ Microbiology/ GLP/ Chemical Analysis. More than 60 years, IPCA has been partnering healthcare globally in over one hundred and twenty countries and in markets as diverse as Australia, Europe, Africa, Asia, and the US. Over 20 years, IPCA has been playing a great role in the Indian APIs market, both in the anti-malarial and anti-hypertensive therapeutic segments. IPCA are the first manufacturer in India for APIs like Atenolol, Hydroxycholoquine Sulphate, Morantel Citrate, Pyrantel Pamoate and Zaltoprofen. IPCA are one of the world’s largest manufacturers and suppliers of over a dozen APIs. These API are produced from the basic stage at manufacturing units inspected by the drug regulatory authorities like US-FDA, EDQM-Europe, WHO-Geneva, UK-MHRA, and many more. 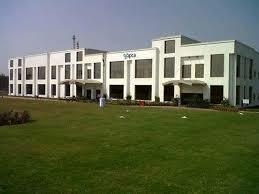 At IPCA, Quality Assurance is a human attitude of seeking sustainable betterment, in every aspect of our work. IPCA invest in constantly reinventing human quality through continuous training, exposure and goal setting. In improving products, improve processes; and to do so. IPCA has been awarded by Great Place to Work® – India in joint collaboration with The Economic Times as ‘Among the 100 Best Companies to Work in India 2010’ in a study conducted .